Weekly classes taught at Triyoga in Camden, London. Please see schedule and class descriptions below. Yoga Level 1 / Yoga Level 1-2 – Imaginative, energising and inspiring Yoga classes adapted to the individual and suitable for all levels. Kids Yoga – Hugely popular classes. The postures grow and develop as the child does. An excellent way to increase children’s co-ordination, self-awareness, confidence and self-esteem as they stretch and strengthen their bodies. Using yoga, children can learn to relax, concentrate and be gentle in a fun and creative environment. Baby Massage – Babies benefit enormously from massage and it helps to put them in a more receptive state for proper development. This class starts with exercises do develop coordination and synchronize the left and right brain as well as strengthening exercises. We then move onto the massage with a choice of suitably blended organic oils to help soothe and nourish your baby. By the end of the class mums and babies are completely relaxed. Babies can continue to come until they are crawling. Toddlers – A great class for 2yrs to 3-1/2 year olds. 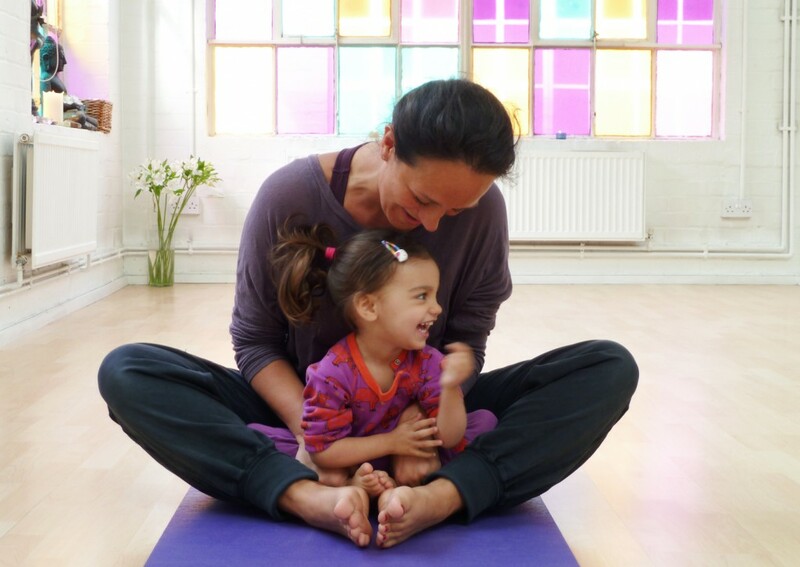 This is an interactive class for you and your Toddler and is aimed at developing co-ordination, balance, motor skills and looking at the animal poses of Yoga. Pregnancy – A wonderful time for the expecting mother to be totally focused on her and her baby. Classes are geared towards labour and empowering the mother – no previous experience of Yoga is necessary! Susannah trained as a Doula with Michel Odent. Private tuition tailored to an individual’s special needs and abilities. Please contact directly for more information.